I was torn about writing this blog post because on one hand I love to share my travel adventures and secrets with you, but on the other hand, I don’t want the masses to find out about this great place! 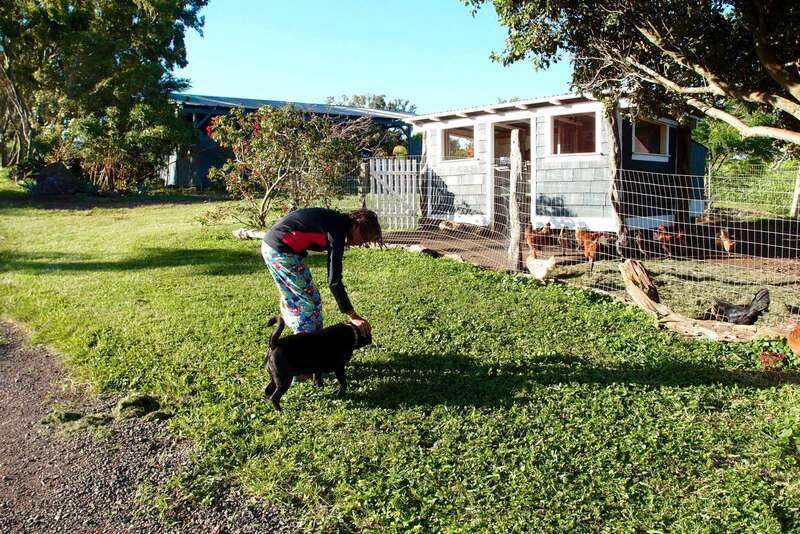 I first read about Puakea Ranch long ago in the now defunct Cookie magazine and was intriqued by the rich history of the property and beautiful landscape. As is my habit, I clipped the article and added it to my travel file. Years later when my family decided to vacation in Hawaii, I chose the Big Island mostly because I wanted to stay at Puakea Ranch. I’ve always wanted a “farm on the beach” and this was as close as I was going to get. As you can imagine, Hawaii has no shortage of great resorts, but if possible I prefer to live like a local when I travel, especially if I am visiting another culture. 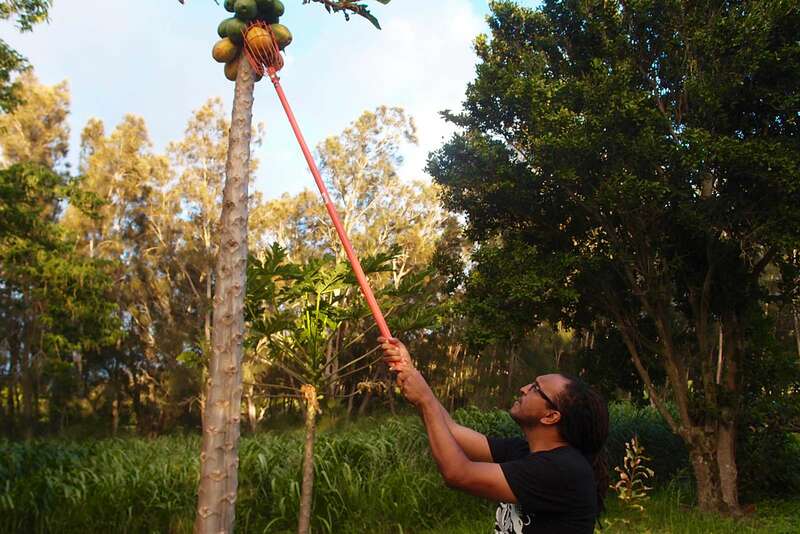 In this case, staying at Puakea Ranch meant living like a local from another era. 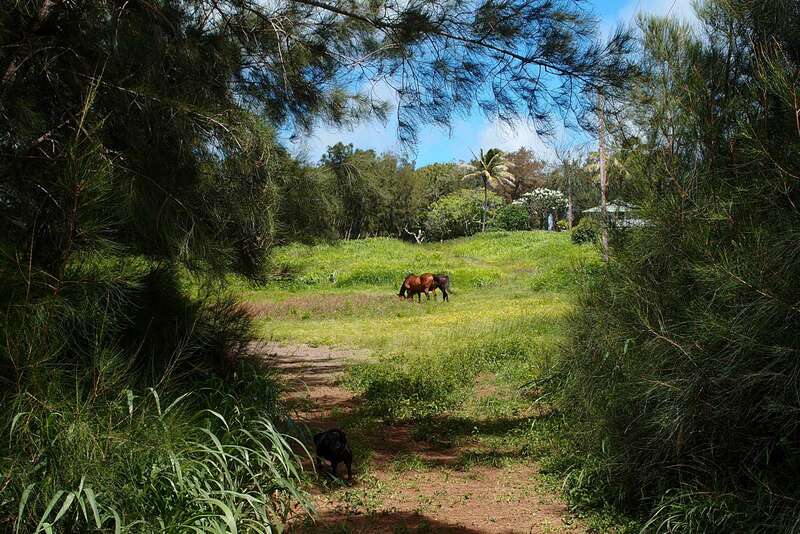 Puakea Ranch is the former property of 4 generations of cowboys and ranch workers, located in Hawi in the Kohala district on the northern tip of Hawai’i. I was excited to experience old, authentic Hawaii but I was also nervous – I am more adventurous than my family; they kind of like a nice resort with pool waiters and daily maid service. We landed at the airport in the early evening and experienced culture shock right away; the desert lava fields were not like anything we had seen. As we soon learned, this was just one of the Big Island’s many climates. I thought it was a good idea to get something to eat on the way to the ranch because we wouldn’t be stocking the kitchen until the next day. We ate dinner in Kawaihae Harbor, but darkness was falling and I was nervous. We still had another 20 minutes to drive and I had read that it’s best to arrive at our destination before darkness fell. The road is not very populated in North Kohala and there are no real landmarks. Our directions were something like “after passing this fence, travel about a mile and look for the gate.” As we drove the lava fields turned into green grass and desert into trees, but the sun was setting much quicker than at home in Georgia and we began to panic. We found the gate just in time. We punched in the code and followed the signs along a dirt road to our house rental. By the time we pulled up to the house, it was dark outside and there are no lights on the property. We soon came to learn that there are no lights anywhere in North Kohala at night so it is pitch can’t-see-your-hand-in-front-of-your-face black. It’s quite scary if you’re not used to it and being that we live in a big city, we were not. We were tired and jet-lagged from the 10 hour flight, but still had to unpack our car and figure out the house, in the dark, in the country. We walked into the living room and saw the kitchen. They were good. Next the bedrooms, one with a queen bed and one with bunk beds. All good – except a lizard crawled across the floor. Oh boy, this might be a little too authentic for my husband. And where was the 3rd bedroom? Hadn’t I read there were 3 bedrooms? More importantly, where was the bathroom because it wasn’t anywhere we could see. I remembered that the house boasted a Japanese bathroom and we finally found it – outside. It’s beautiful, but I knew my daughter was not going to walk outside in the dark to use the bathroom. Didn’t I read there were 2 bathrooms? Finally my son found the 3rd bedroom and bathroom, through a separate door off the lanai. The door is right next to the main door and this would have been an easy find during daylight, but at night and in our disoriented state, the panic was real. I went to sleep fretting that I had made a mistake and my family would hate our authentic experience and beg for a hotel. But then we woke up and in the light of day saw that Puakea Ranch was everything that I had read about and more. There was a garden out back. 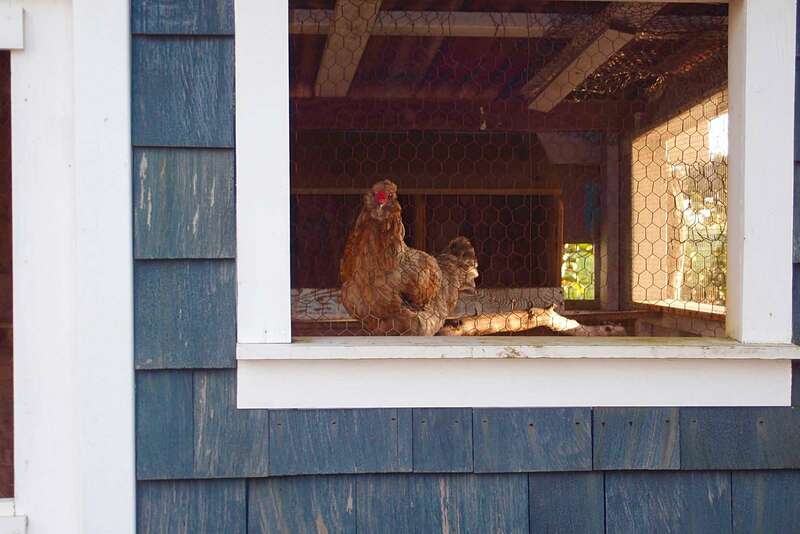 And look at that, a chicken coop across the way. And a small cottage right there full of toys (called “The Toybox”). 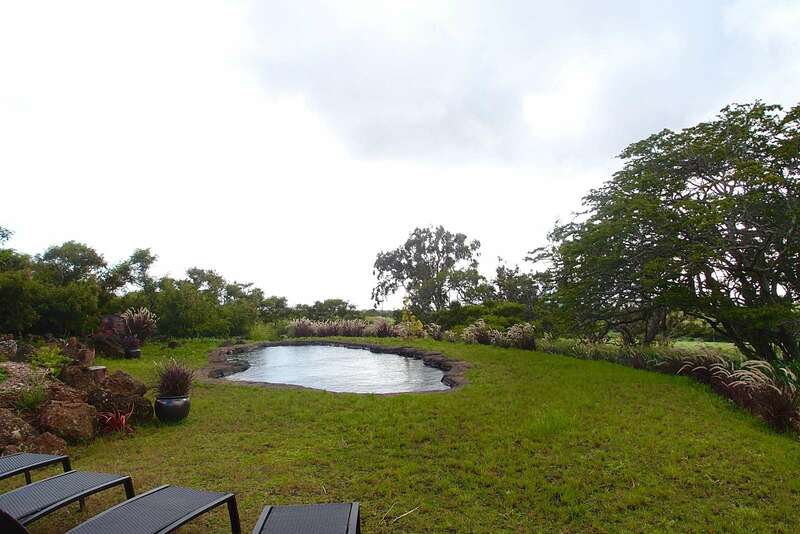 The lava rock swimming pool was just a minute walk away. On our second day there was a “knock” at the door and we opened it find Ninja, an English Bulldog/Pug sort of puppy who liked to greet all the new guests. 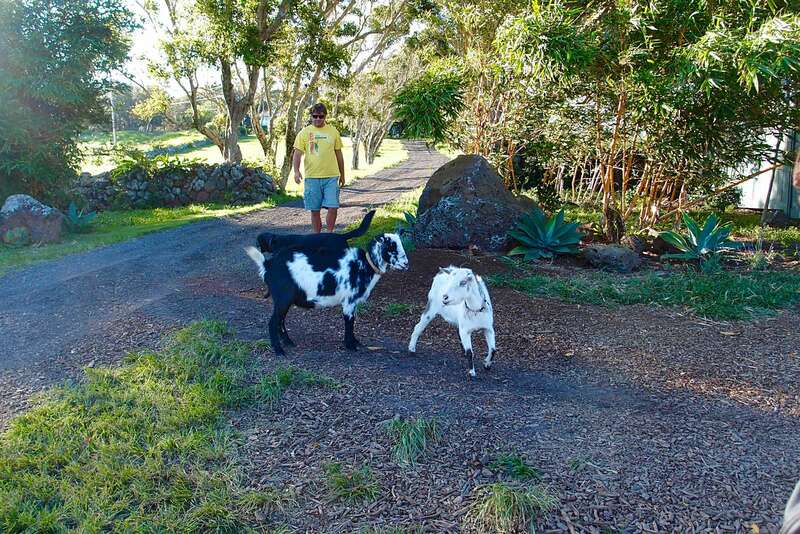 Ninja was soon followed by Angus and Lola, older dogs on a walk with the property caretaker and couple of goats. My daughter was thrilled; she loves dogs and everyday thereafter she watched for them to appear. There are only 4 houses on the property. The house we rented, The Cowboy House, is the oldest and rich in history. The house is decorated with reminders of it’s past. “The Cowboy House” is the oldest home at Puakea Ranch, built by Plantation working families at the turn of the century. Zejiro Kawamoto lived in this home with his young wife after emigrating from Hiroshima, Japan. 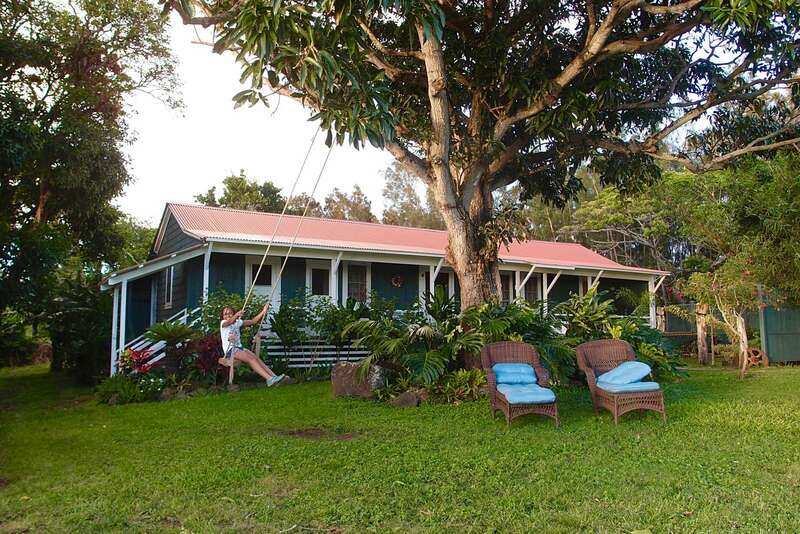 All three Kawamoto children, Yoshi, Masa and Thema were born in this charming Hawaiian Hale beginning in 1922. It was the heart of Puakea Ranch with much activity and laughing children. 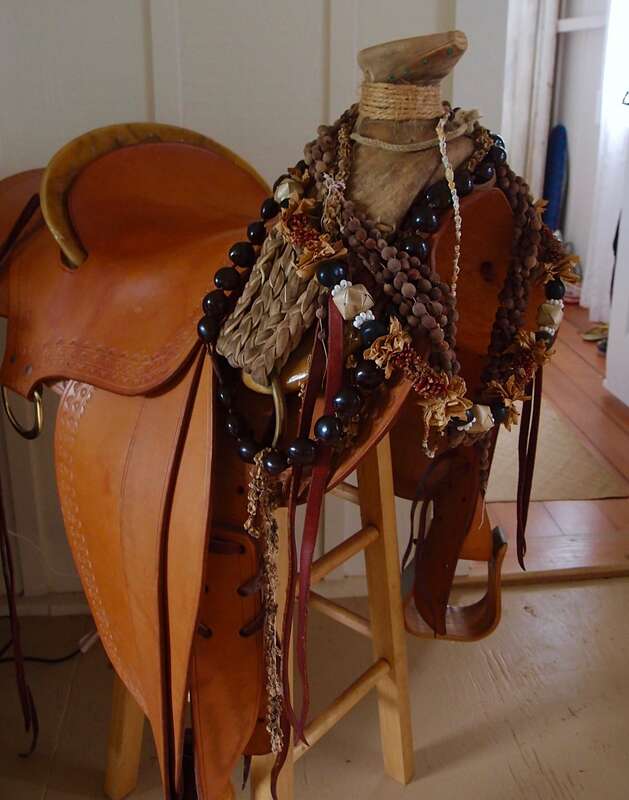 By the early 1940’s the Kawamoto Family moved up the mountain a little further to the Puuhue Ranch section and cowboy house became the bunkhouse for the Paniolo’s– the Hawaiian cowboys working at the ranch. – description from the Puakea Ranch website. The house is authentic but the amenities are modern. There is a washer and dryer, wi-fi, a flat-screen tv and a modern kitchen. The bathroom has been remodeled and the Japanese bathhouse is really special. There is a hot tub right off the deck. 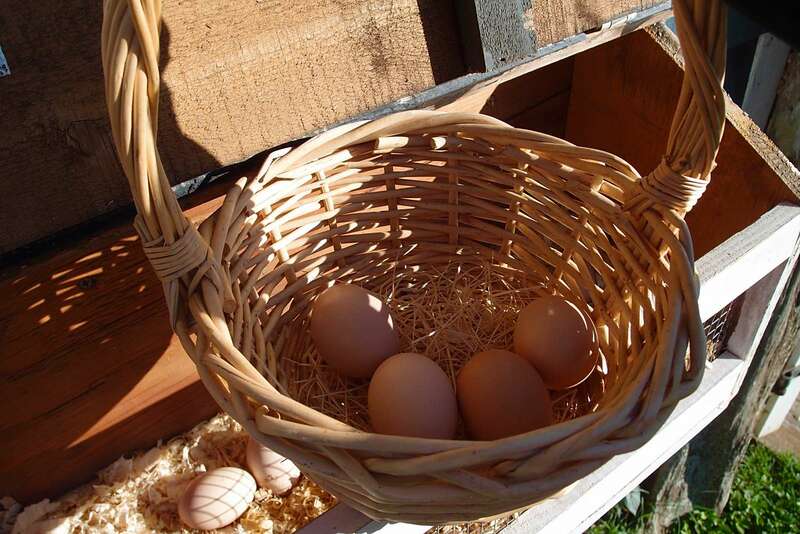 Soon we fell into a rhythm: in the morning my daughter collected eggs for breakfast and my husband picked fruit. I cooked breakfast while the kids played on the swing outside. After breakfast we packed our lunch and went on an adventure or to the beach. Often we ate dinner at a local restaurant. 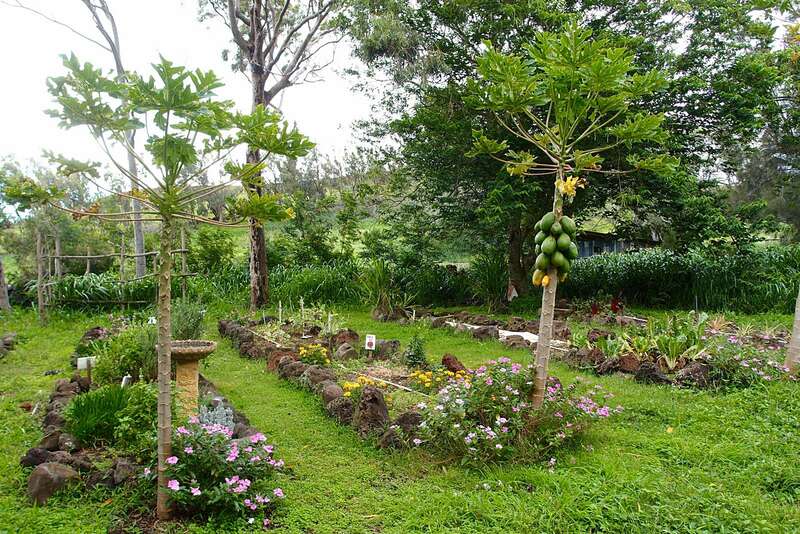 Puakea Ranch is in Hawi. Most people pass through Hawi on the way to see the King Kamehameha statue or on the way to Pololu Valley, but it’s a cute town to stop and see. Besides very good restaurants, there are cute stores run by locals and nice art galleries. There is good ice cream at Kohala Coffee Mill. The town of Kapa’au is the next town over and has nice art galleries too. Some days we returned early to the ranch to swim or just hang around the property and walk the trails. We were always careful to arrive before dark and often we were greeted by the grazing horses, which was pretty magical. Most nights we sat in the hot tub and talked. Did I say how dark it was at night? And quiet? We dared our kids to walk from the porch to the chicken coop alone in the dark (a stone’s throw away) and neither would do it, not even for $20. Instead we held hands as we walked blindly into total darkness and stood in the grass, marveling at the stars; we had never seen them so bright before. On second thought, forget I ever told you about Puakea Ranch; I want to keep all to myself. P.S. 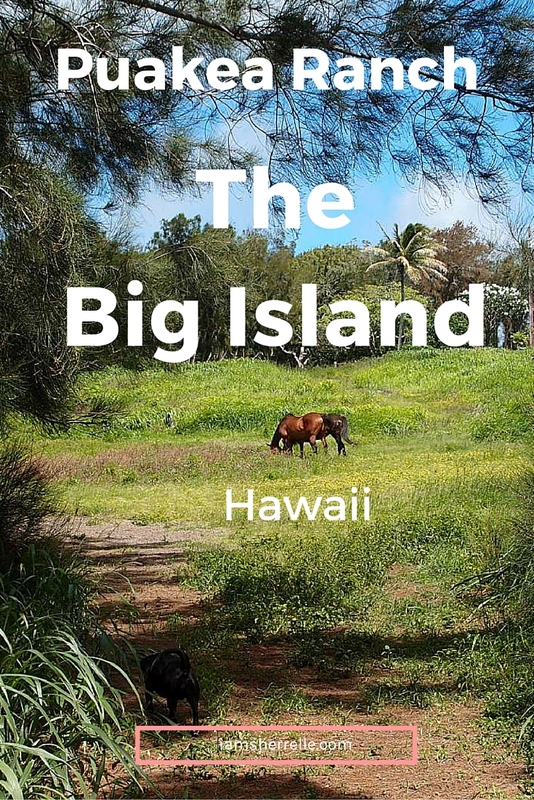 You may also like to read 7 Things You Must Do On The Big Island and 4 Great Beaches On The Big Island. As always you can subscribe to catch all my blog posts. What about Wally? There is or was a little airstream on the ranch as well. You captured Puakea Ranch perfectly! My husband and I stayed at the Ranch on our honeymoon and the trip was as amazing as you said it was. I can’t wait to go back. It was the peaceful, beautiful serenity we all need every once in a while. Definitely a must see and stay on the big island. I can’t wait to go back either! I would love to take a group of people and rent out the entire ranch. Wow! This sounds like an amazing vacation idea! 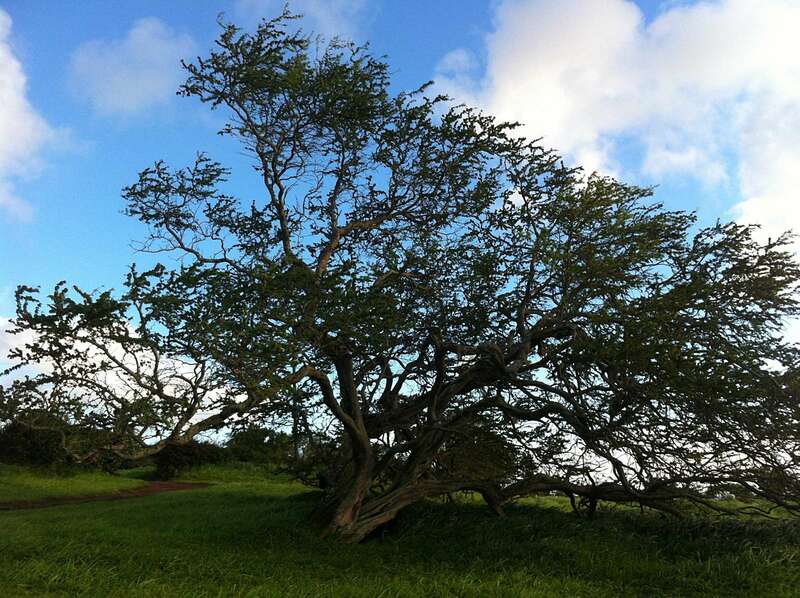 My husband is from Lanai so we usually stay there with family when we visit, but we did visit the Big Island I will definitely need to check this out! I want to go to different Hawaiian islands, but I think the Big Island will always hold a special place in my heart. omg, what a lovely very cool space! What an interesting little gem hidden away in Hawaii!